It was my Dad’s birthday at the start of the month, and he is so difficult to buy for. Instead of buying him something he doesn’t want or need, I decided to stitch a picture of our bunny Archie for him. It was a time-consuming project but not a difficult one. 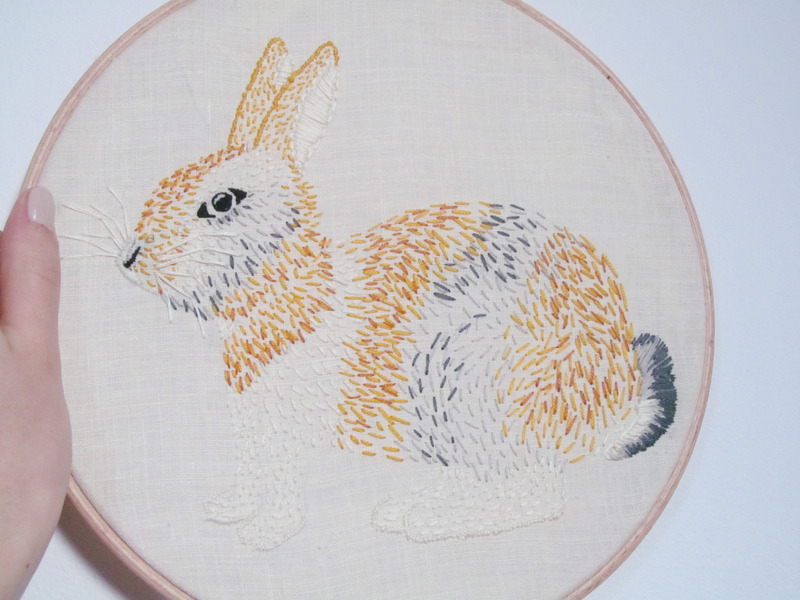 If you like the idea you could follow these steps to make an embroidered picture of anything – but pictures of pets are the best! I looked for some embroidery inspiration online and most patterns used solid stitching for the whole picture. 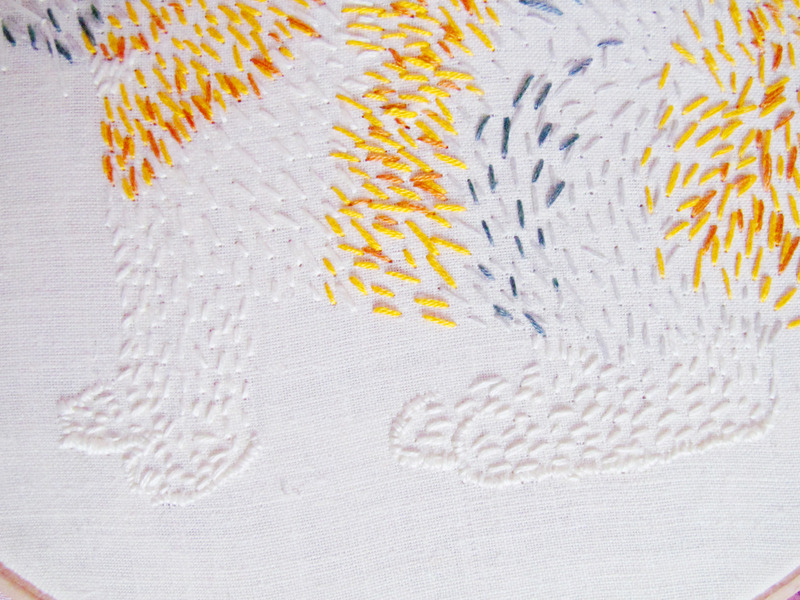 I prefer embroidery that looks more like a drawing than a painting (if that makes sense! ), so I stitched most of Archie using the spaced out stitches that you can see. I think it makes him look fluffy, and this method is much quicker! I just did some occasional solid stitching to emphasise his features. Step 1: Sketch out your design onto paper. 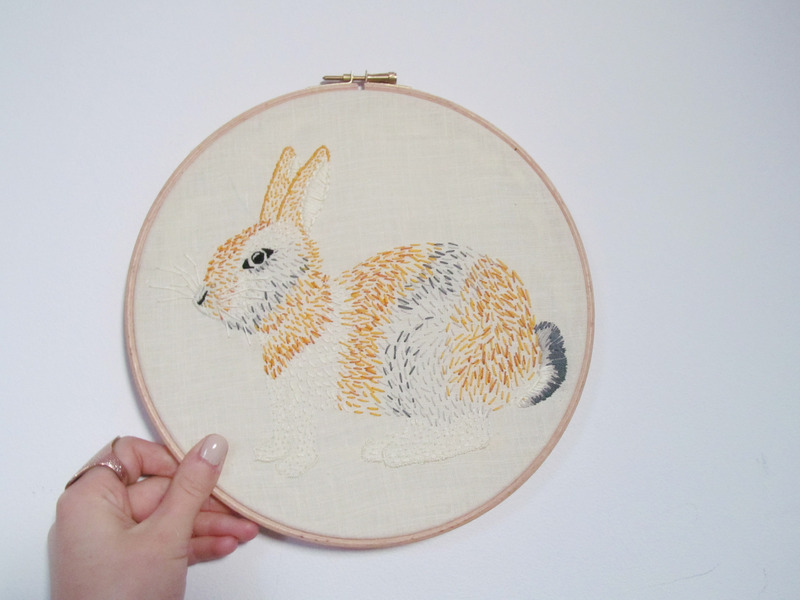 Then put your linen in the embroidery hoop and pull tight (if you’re new to embroidery, check out these embroidery basics by Wild Olive for help!) 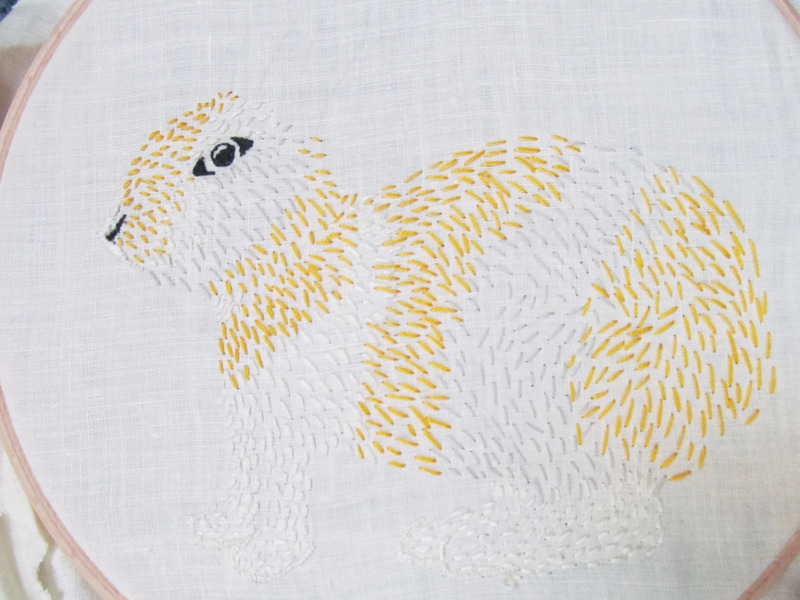 Transfer your pattern onto the linen. Step 2: Start filling in the pattern using these randomly spaced stitches. I made sure my stitches went in the same direction as Archie’s fur. I overlapped the colours a little and made sure the stitches were shorter where his fur is shorter. Step 3: Fill in prominent features with solid stitching! 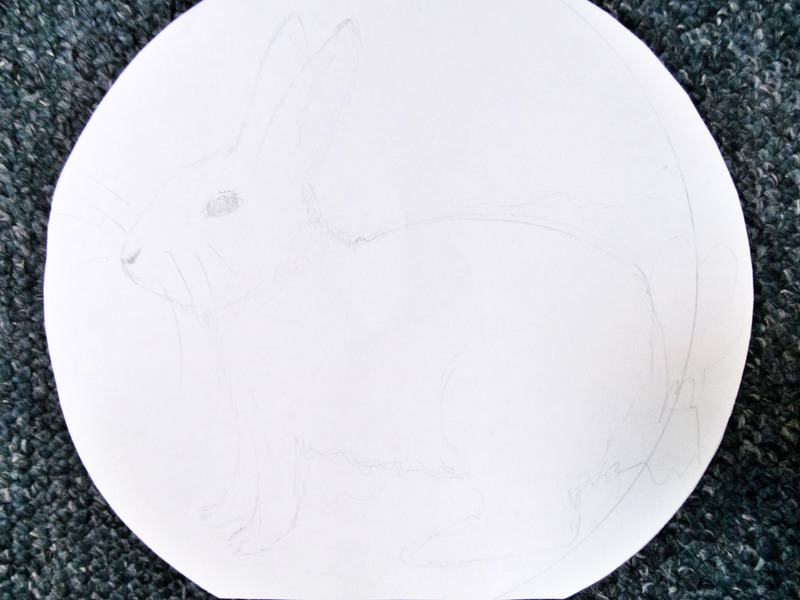 Archie’s eye, nose, the inside of his ears, and his tail are all filled in with solid stitching. I also stitched a line around his four feet, his ears and his nose for emphasis. Step 4: Add some tone! At this point, I used my dark grey and dark orange floss to bring the picture alive. Right at the end, I also stitched his whiskers. Step 5: Cut the linen an inch or two away from the embroidery hoop, and glue to the back of the hoop (I used my glue gun for this.) This way, the embroidery hoop becomes the frame for the picture. What do you think? Have you ever stitched a picture? This is *excellent*!! What a great gift and it turned out to be so adorable. The shading you gave it with stitching is really impressive. Congrats with your dad, you made him a super cool gift! Great gift, Archie looks so cute. What a thoughtful idea! 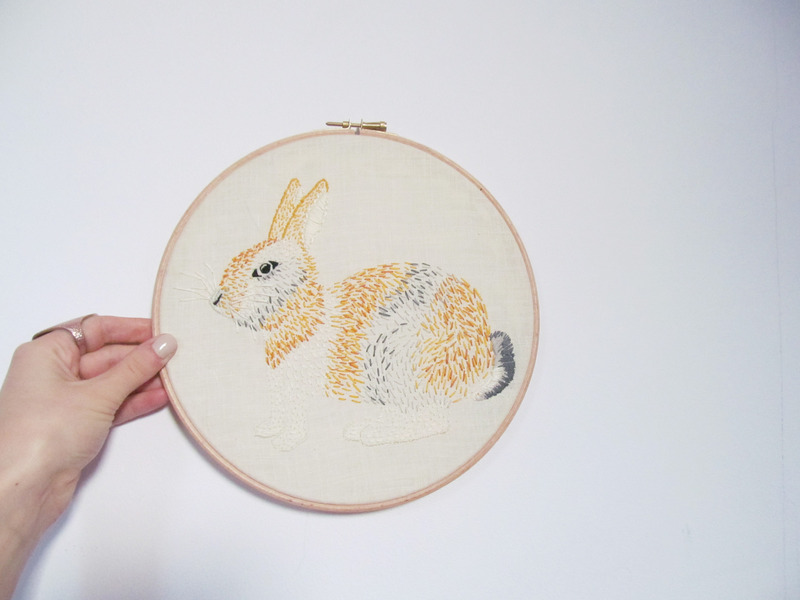 I love this – must have been a lot of fun to embroider too, I haven’t crafted in so long -you’ve definitely inspired me to start making more things! What a nice idea–your father with like this better than anything you could’ve purchased! That’s a cute bunny! this is so cool! you are so cool! i think the altenative rock era – the era we grow up with, is no longer in favour anymore so it’s a good choice when MCR decided to break up when they are still legendary. This is so lovely! You’re a talented stitcher! I hope your dad loved it!